Situated in the heart of Philadelphia, our Center City apartments near the airport are accessible to every form of transportation you need, from public transport and ridesharing options to air travel. No matter when you want to go, The Metropolitan is centrally located near several of the area’s best airports. Approximately 15 minutes down I-95, the Philadelphia International Airport is the only major airport serving the country’s seventh largest metropolitan area. PHL offers almost 500 daily departures to more than 120 destinations worldwide through 25 airlines, including all major domestic carriers. Serving New Jersey’s Capital City of Trenton and its Mercer County, Trenton Mercer Airport is located less than 40 minutes from our apartments in Center City Philadelphia further up I-95. With only two runways, the small airport currently serves general aviation passengers traveling on the low-cost Frontier Airlines, which services routes all across the country. 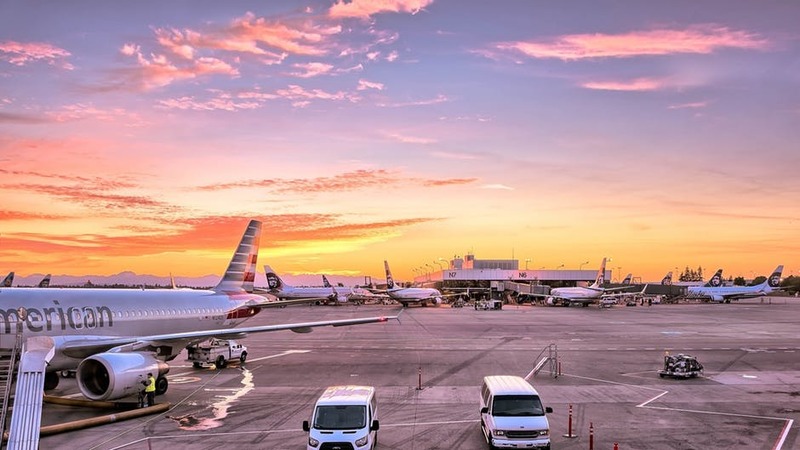 Other airports within a comfortable distance include Lehigh Valley International Airport in Allentown, PA, and Atlantic City International Airport right outside of Atlantic City in Egg Harbor Township. A joint military-civil airport, Atlantic City International Airport is served by Spirit Airlines and travels to dozens of the airline’s domestic and international destinations. Each airport offers various parking and rental car options on their respective properties as well as public transport and taxi service choices that provide direct service from The Metropolitan. The City of Philadelphia is currently served by both Uber and Lyft ridesharing operations. For ease of travel from business to pleasure and everything in between, The Metropolitan offers the perfect location to get anywhere you need or want to go. Call today to learn more about airports and airlines near our apartments in Center City and schedule a tour today!